Published: Dec. 9, 2018 at 03:17 p.m.
New Orleans fullback Zach Line bulldozes to the end-zone for a 1-yard touchdown. 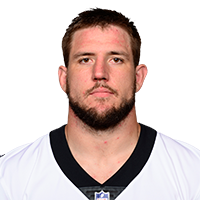 Published: Sept. 23, 2018 at 03:53 p.m.
New Orleans Saints fullback Zach Line catches a 1-yard touchdown vs. the Atlanta Falcons. Published: Jan. 7, 2018 at 06:14 p.m.
New Orleans Saints fullback Zach Line punches in a 1-yard touchdown. Published: Dec. 31, 2017 at 07:07 p.m.
New Orleans Saints QB Drew Brees hits running back Zach Line for a 3-yard TD.